Located in a turn of the century former courthouse the Vancouver Art Gallery allows you as a bride to be surrounded by some of the most beautiful art in the world while you get married. These Vancouver Art Gallery wedding photos showcase the stunning decor and beautiful surroundings of this downtown event venue. Taking pictures at weddings such as these requires being ready at all times to find the perfect light to highlight our subject. 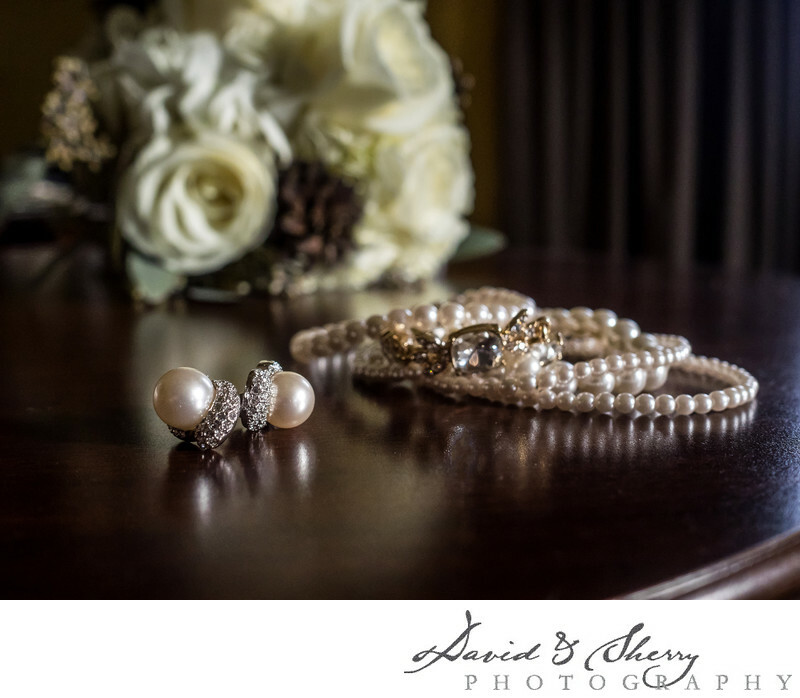 In this picture we have artistically placed the bride's earrings, necklace and bridal bouquet on a dark wood table with the window light spilling into the room onto the table where the jewelry is located. This illuminates the items from the right and helps them to stand out from the darker background so the viewer knows where to look and what they are looking at. With each of the photos we take on a wedding day we are looking for this type of light as well as rim and overhead front light with which to make our bride, groom, wedding party, family photos and reception lighting stand out to create timeless photographs that will look as good 30 years from now as they do today. Location: 750 Hornby St, Vancouver, BC V6Z 2H7.